Drop your ride a couple inches with a lowering kit for improved handling and sleek looks. 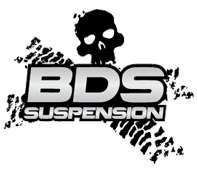 All of our lowering kits and lowering springs are custom-configured for your exact vehicle. From lowering spring sets, lowering Shackles, to the full-blown drop package, we have the right lowering kit for your ride and your budget. We recommend: Ground Force, Bell Tech, Maxtrac, H&R Lowering Springs, Eibach.